Posted 14:47 by David Keuck & filed under Allgemein. There is no doubt that the role of procurement is changing. It used to be enough for buyers to go into negotiations and try and get lower prices than the year before. Those were the good old days and, for better or for worse, they are over. Of course, getting products and services cheaper will always remain a core part of the function’s mandate, but it isn’t enough anymore, we have to do more. This is especially true in the telecommunications industry, which is marked by ongoing supplier consolidation and a very challenging regulatory environment. 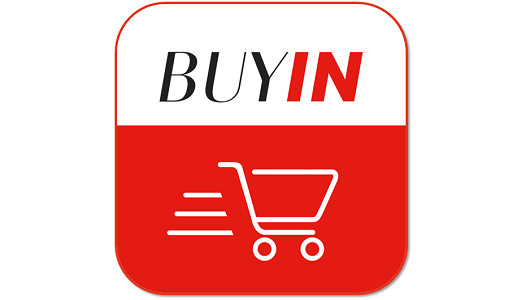 At BuyIn we realised more than three years ago that we have an asset of unparalleled value. That asset is the market and business data from the more than 40 national companies and affiliates we work for. That data is the product of the six years we have been doing strategic procurement for Deutsche Telekom and Orange, two of Europe’s largest telecommunications companies. Over the years we have spent time developing tools to help us use this data to create value for the members of our Procurement Alliance. In July 2015, that culminated in the launch of our Marketplace App. Marketplace is a mobile app designed for Android and iOS devices that provides colleagues in 26 of our local markets with price transparency information and market intelligence. The key to the app’s success has been its continuous development based on the valuable feedback our team has received from users who were drawn in by the innovative initial feature set. Thanks to this feedback, Marketplace has come a long way. At its launch, our colleagues used the app to access randomised price information that was rendered anonymous. They used and continue to use this data to strengthen their negotiation positions with suppliers. In later releases, we pushed it further. First, we added a benchmark screen and a price projection function. With it, the app can predict prices for mobile devices for the next six months. How? The data that flows into the app to provide strategic negotiation information comes from the users themselves. We put that information into the context of more than 4 million prices, volume figures and predictions. Today, the app compares not only the prices mobile network operators in our footprint get, but also those of over 200 distributors, brokers and 150 retailers. They are our biggest competitors because customers are buying more of their devices from them. By ensuring competitive prices, we in turn can support our colleagues in sales. This makes the price alarm function all the more interesting for local buyers. App users can set threshold prices for specific devices. Once those prices are hit, they receive a notification and they can contact their local vendor account managers and renegotiate purchasing agreements to maintain best-in-class pricing in real-time. This feature has been active for well over a year now. On top of that, individual affiliates can also use the app to trade devices within the Deutsche Telekom or Orange group to help solve overstocks and shortages. By keeping that business “in the family”, we are creating serious value. In the last year and through this function alone, we have generated internal trades worth more than €10m resulting in price improvements of up to 25%. It is all the more remarkable because the app was created in just a few short months by a small in-house team of three people working with a budget of under €100,000. The most successful apps are also the most user friendly. That’s why the last release shifted from a focus on functionality and moved towards personalisation. We created a new interface called Cockpit View. It enables users to create their own personalised screens to display the devices that are most relevant to them in their markets. This made it more convenient for them to track prices in their respective local markets and, in turn, to measure their own competitiveness. The Cockpit also contains a Top/Low Performers Overview and a simplified search bar that lets users find devices more easily than ever before. In addition to this, the team improved price evolution graphs to enable users to better compare and understand price trends for devices in specific markets. The question we now have to answer is what we can do next? Users provide us with ample feedback on what works well or what they’d like to see in upcoming releases, but that is far from their only contribution. We provide them with the app free of charge. The only condition is that they provide us with their data so we can use it to continuously refine our price curves, benchmarks and other supplier or market data. When we were in the early stages of development, we asked ourselves what would we do if an affiliate refused to share their information. We decided we would give those companies only a limited view that reflected their own data. I am happy to say that we have only had to apply this restriction once. Otherwise, all the companies we work with on mobile device procurement have seen the logic behind it. On average, they provide us with more than 10,000 prices per week. These are all added to the database, further refining the information it holds. By working together, we are leveraging the data to create something that is greater than the sum of its individual parts. We are generating value beyond the economies of scale that we have been leveraging successfully over the last five years. The feedback from users has been overwhelmingly positive. They like the fact that all the information they need is at their fingertips. Their negotiations are simpler and more efficient because where they used to have some 20 different webpages open; they now have all the information on one screen. Marketplace is an exciting first step on a wider journey that procurement is on. If nothing else, it shows that it is possible to leverage data to generate value quickly, flexibly and at a low cost. It is not easy, but it is possible. Price alarms, evolution benchmarks and forecasts are just the beginning of what procurement functions need to do to be successful in the future. To continue playing a strategic role in any company, it is vital to use the data you have in new and innovative ways. With Marketplace we are benchmarking our mobile device landscape – from the supplier, device and market angles. But data in itself is not enough – we have to make it accessible to the people it affects. We need tools that industrialise benchmarks and make them readable to the experts who will use them to set criteria based on market information and act on that. If that data is properly maintained and its flow is continuous, we can not only assess what is happening now, but also predict what will happen in the future. This, we hope, will eliminate missed opportunities and create more value. We have explored the basis of these actions in the Marketplace app and are going further in other tools and apps we are developing as part of a wider Smart Analytics project. Our goal is to shape the future of procurement before it is shaped for us – to disrupt before we face disruption. We are looking at introducing robotics into the sourcing ecosystem. Another team is working on cognitive tools to further support procurement processes and improve sourcing quality by increasing efficiency and tapping into additional market potential. It is an exciting future and one that we are ready to embrace. THis article was written by Stefan Figge, Chief Digital Officer at BuyIn. For this article and more about innovations in procurement, please visit Procurement Leaders.